Before Epic Games’ wonderfully brutal Gears of War was released in 2006, becoming a smash hit and spawning two equally excellent sequels and a not quite as popular spinoff, it was a simple trailer that really caught the attention of gamers everywhere. 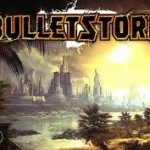 Considered to be one of the all-time best video game trailers ever, it was only a cinematic, featuring no gameplay, but it showed what looked like an intense science fiction adventure set to Gary Jules’ cover of the Tears For Fears song “Mad World.” And, as you might have figure out, it was the song that really stood out and made the game stick in viewers’ minds. The cover was actually recorded for the 2001 film Donnie Darko, but the usage in the Gears trailer saw it propelled to the number one spot on iTunes five years after it was made. Now, with the upcoming release of Gears of War Ultimate Edition later this month fast approaching, a new trailer has been made smartly using “Mad World” once again to try to re-ignite some of that original excitement. Surprise! Gears of War 4 is on the way, if you haven’t already heard. The main trilogy wrapped with 2011’s Gears of War 3, which was followed by the spinoff game Gears of War: Judgment in 2013. After that the rights to the franchise were transferred from creator Epic Games to Microsoft, and here we are. 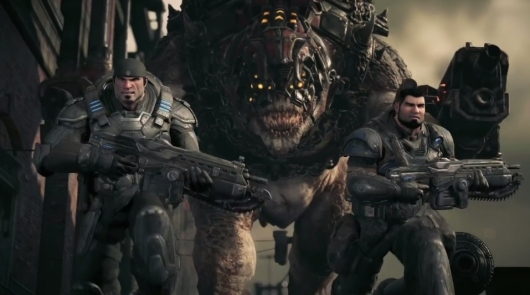 The first gameplay demo for Gears 4 was shown off at E3 2015, but sadly, the series primary protagonist Marcus Fenix is nowhere to be found. That said some new characters are introduced in what’s described as the beginning of a new saga, and it does look like plenty of fun for fans of the series. Also announced is a remastered re-release of the original Gears. You can see the first Gears of War 4 gameplay demo below, as well as a peek at the remastered original. After an excellent trilogy of games and a recent prequel title, Epic Games has sold their Gears of War franchise to Microsoft. The deal includes the intellectual property, all existing games and assets, and also the rights to make future games in the series. 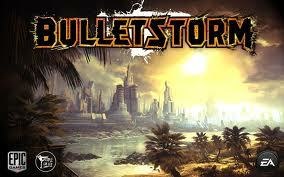 It’s also been announced that the next game in the franchise, which no title or information exists for, will be developed by Microsoft’s Black Tusk Studios, and led by Rod Fergusson, who was a producer on the first three games. 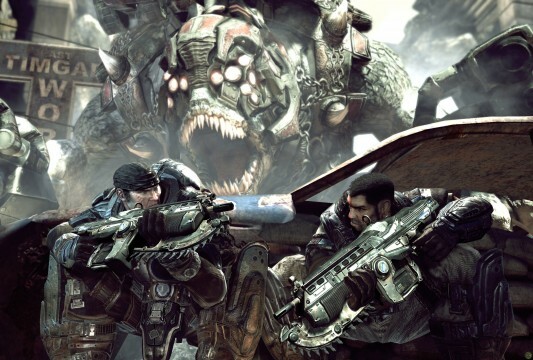 A movie adaptation of the hit video game series Gears of War is no new thing—first being picked up by New Line Cinema in 2007, with Len Wiseman (Underworld, Total Recall ) set to direct. 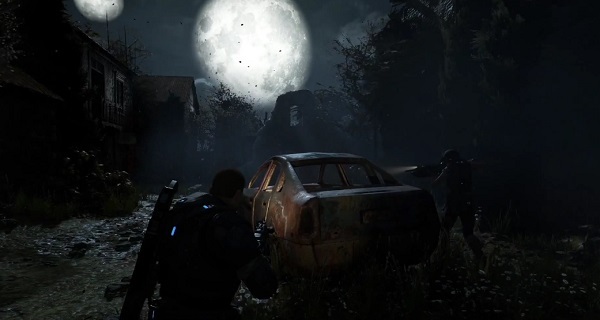 As with many recent video game hits, a movie version has been discussed many times, and, just like most of them, the Gears attempt has found no success in making it to the silver screen. But that Hollywood machine does not give up so easily. It’s being reported that Scott Stuber has now taken hold of the project, and is now working with Gears of War developer Epic Games to develop a new attempt at making the movie a reality. 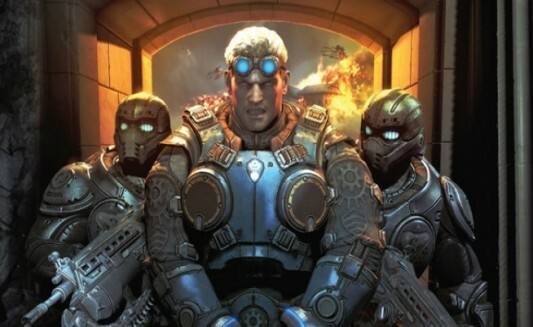 When the story of Marcus Fenix, Dom, Cole Train, Baird, and the rest of the COGS ended with trilogy-maker Gears of War 3, it was generally known that more games would eventually be made. The question was how long down the road would Epic Games wait to make another, and where would they go in the story with the threat Locust and Lambent threats taken care of, and their popular lead character, Fenix (voiced by John DiMaggio of Bender from Futurama fame), seemingly out of the picture. The answers? Well, as it turns out, Epic didn’t want to wait long. A new installment in the series has been announced, titled Gears of War: Judgment, that will cover the rest of the questions by being a prequel. The game is set basically right at the start of all the chaos you just finally finished dealing with in Gears 3. It takes place about two weeks after E-Day (Emergence Day), and about fourteen years prior to the events of the original Gears of War. Continue reading for more, and to check out the first trailer for the game, as well as an informative peek into it and one of the multiplayer options. Gears of War 2 fans have something to be excited about with next week’s Comic-Con in San Diego, even if they can’t attend — actually it might be better if you can’t. Check this out: Rod Fergusson, the executive producer of the Gears of War franchise for Epic games, posted on his Twitter account about 24 hours ago a little deal for multiple experience for Gears of War 2.